The onus is typically on the player with the Isolated Queen’s Pawn to find dynamic resources that compensate their structural weakness. 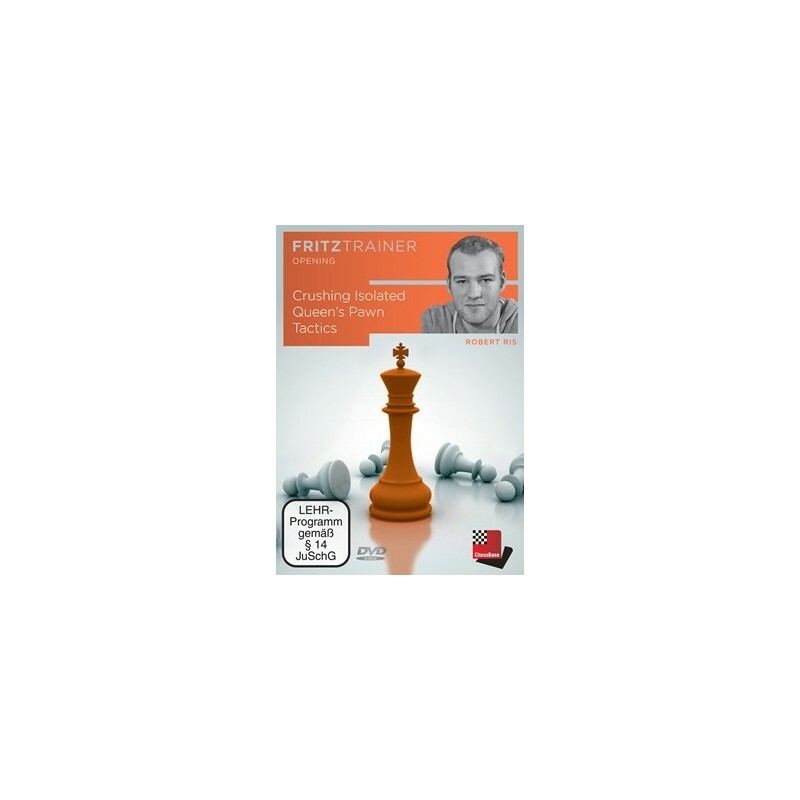 The aim of this DVD is to offer the viewer tactical exercises that also illustrate the attacking prospects within IQP positions, and as the ensuing positions can arise from so many different openings, the content of the DVD emphasizes the importance of understanding this type of pawn structure. The onus is typically on the player with the Isolated Queen’s Pawn to find dynamic resources that compensate their structural weakness. 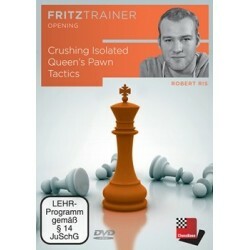 The aim of this DVD is to offer the viewer tactical exercises that also illustrate the attacking prospects within IQP positions, and as the ensuing positions can arise from so many different openings, the content of the DVD emphasizes the importance of understanding this type of pawn structure. To this end, well-known masterpieces like Steinitz-Von Bardeleben, Hastings 1895 and Kamsky-Short, Linares (Candidates) 1994 are covered in depth to better acquaint you with the typical plans of the a ttacking side, but of course less well-known games have been included as well. In an attempt to keep things as clear as possible, all the exercises are presented from White’s perspective, but that doesn’t mean that these types of positions can’t be obtained with reversed colours. The Quiz Questions are not grouped according to particular themes, leaving the viewer to make a conscious effort to choose between several plans: Should I play a rook lift to the 3rd rank to increase the pressure, play for the central thrust d4-d5 or deploy an immediate sacrifice within striking distance of the Black king?